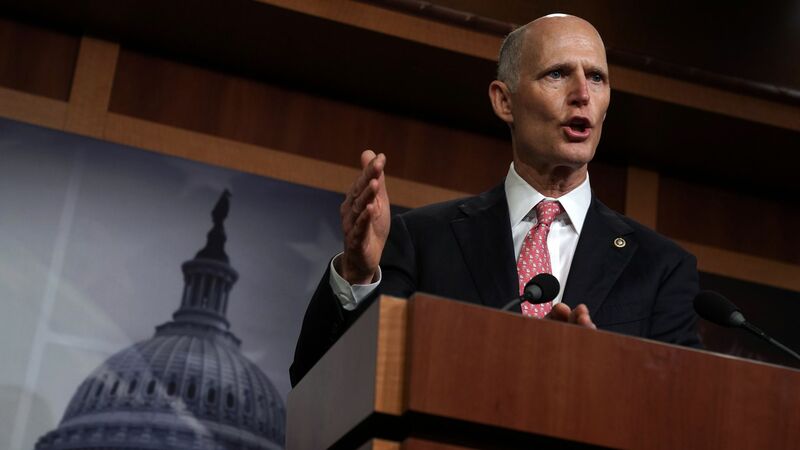 Sen. Rick Scott (R-Fla.) will say today that the U.S. "must consider the use of military assets to bring aid to the people of Venezuela." Why it matters: It's significant that a U.S. senator is urging use of U.S. military assets to push aid into Venezuela, and is setting the predicate for military action in the strongest language we've seen from a senator. "Maduro and his thugs have left us no choice." "[S]anctions alone aren't stopping the Maduro regime." "[T]he United States needs to start considering the use of military assets to bring aid to the millions of starving and sick Venezuelans. And I call on all of our allies and those supporting Guaidó to help us in this effort." "If embargoes and blockades can help, we should consider them. And if military force on the part of the United States and our allies in the region is necessary to rid us of the scourge of Maduro and his thugs, then we cannot rule it out." "If the Venezuelan people, through their elected National Assembly and their own laws and Constitution, request assistance to restore constitutional government and democracy, we should be ready to answer that call."